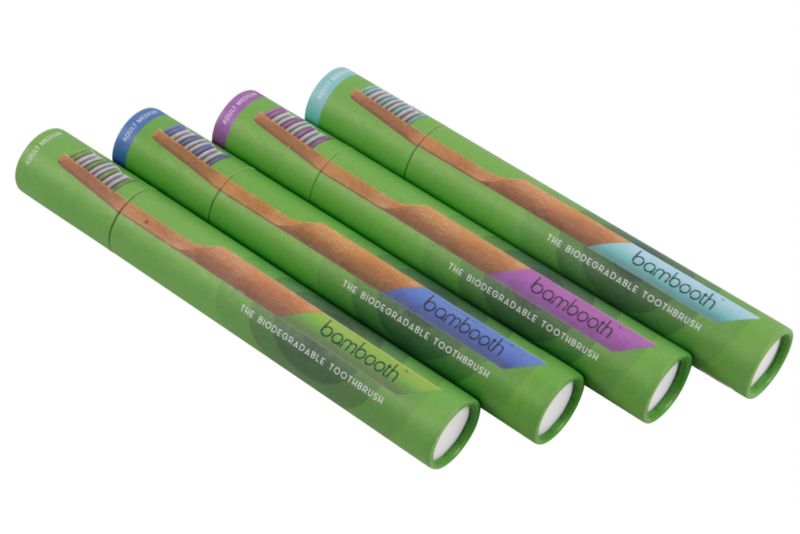 Design Inc are pleased to announce the launch today of bambooth - the biodegradable toothbrush. Change the handle, change the world. Design Inc are very proud to have been involved with the product branding for the bambooth project from its inception in early 2018 and so pleased to see these biodegradable bamboo toothbrushes in production and now available for purchase. 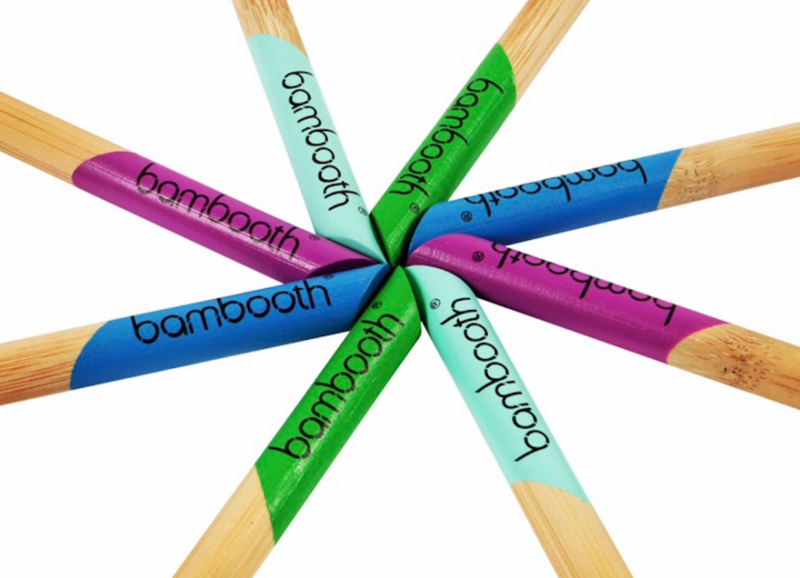 bambooth comes in one of four colours: Forest Green, Sea Blue, Aqua Marine and Coral Pink. And, if you want one of each colour, a Multipack is available. We’ve got ours, have you? 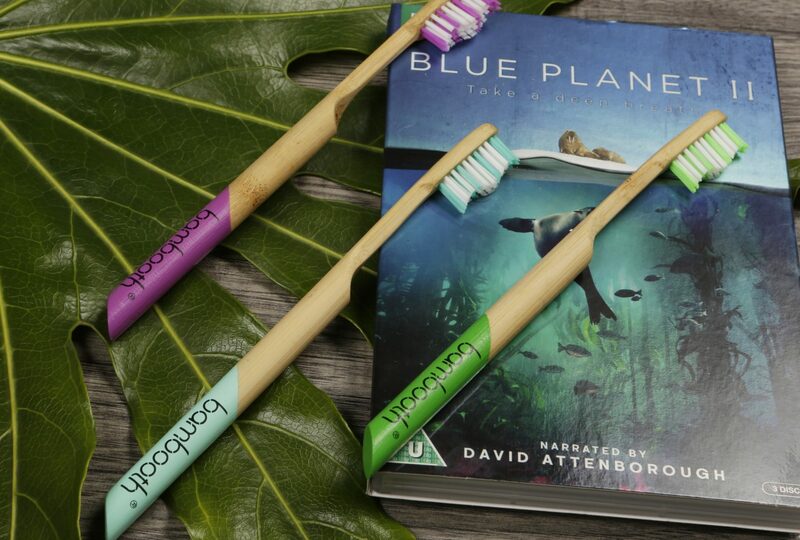 Inspired by David Attenborough’s Blue Planet II and the BBC’s documentary ‘Plastic Planet’, Niamh McGill and Joe Finnegan’s epiphany occurred when brushing their teeth that evening when they both realised that the toothbrushes they were holding didn’t have to be plastic! Fast forward 14 months, and just look at what they’ve achieved! Design Inc caught up with Niamh and Joe at the bambooth product launch to discuss their passion and the project. Joe continues: “The start of the project was relatively easy. The name ‘Bambooth’ was obvious to us right from the start. And, being a woodworker myself, I was initially able to hand-carve some bamboo prototypes. But, that’s all we had: a clever name, a couple of extremely crude prototypes and a clear vision of what we wanted to achieve. Frank continues: “Everywhere we look, we see images of plastic pollution destroying the natural world – so the idea of helping Joe & Niamh introduce environmentally-friendly and biodegradable products into the home was something I knew we wanted to be – and should be – part of. The requirement was initially threefold – to develop the brand logo, product packaging and the wider brand style and the first stage in all of this was to establish a clear branding brief. This involved the Design Inc branding team ‘getting under the skin’ of the concept to develop the associated brand values, product benefits, audience types, pricing policy and marketing messaging. It was subsequently established that the brand logo should directly complement the environmental element of the product, any less would diminish the core values of the product. This enabled us to narrow down the creative routes available. Focusing on the ‘natural’ and ‘environmental’, we presented the client with seven initial brand concepts for consideration. The development of any brand inevitably goes through a series of development stages and the new bambooth brand was no exception. The chosen brand route utilised the name as the logo and by modifying a rounded lower case font, we could establish a more engaging ‘personality’ for the brand. Moreover, by taking inspiration from the shape, style, colour & elegance of the bamboo cane and, by slicing through the letters with a 45degree cut (to complement the angle of the product’s handle), we were able to create a colourful, compelling and unique brand. Once we had established the unique brand logo, we started work on the brand assets with particular attention given to the brush itself and its packaging. The Design Inc brand team had already carried out some research as to other toothbrushes on the market and found the majority of brushes and its packaging looked exactly the same: a plastic brush with a plastic covering. A double whammy! “We knew we needed something completely different in the market”, says Joe “and Design Inc led us down a route which, like the brand logo, was so simplistic yet so effective”. The route was a recyclable cardboard tube with an easy removable lid. And, once we had the dimensions and production spec we could set to work on the artworking. From the start there were two dimensions: one tube for a single brush and another for a multipack of four brushes. As the packaging would completely enclose the product, it was crucial that the product was shown at full size on the outer tube packaging whilst still leaving room for a number of environmental and retail messages. The image of the brush was overlaid on a ripple effect background – developed to further promote the philosophy that a small action can have a big effect. Thank you Niamh. We look forward to it too! Design Inc is a full service branding agency based in Surrey, UK. To discuss your own requirements, please contact us now.